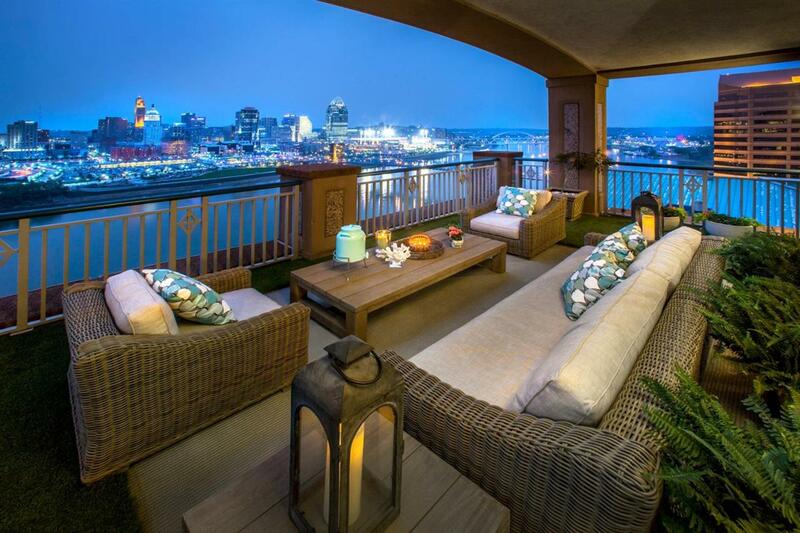 Exquisite Penthouse in this private riverfront residence. Open floor plan completely renovated. Incredible master suite with oversized closet/vanity, bathroom, & sitting area. Spacious extra bedrooms. Oversized Laundry Room. Incredible detail throughout every aspect of the home. Exceptional city views and outdoor living space perfect for entertaining and relaxation. Courtesy of Robinson Sotheby's Int. Realty. © 2019 Northern Kentucky Multiple Listing Service, Inc. All rights reserved. Information has not been verified, is not guaranteed, and subject to change.